The Aquaman flaunts his traditional garb and colours of green and yellow-orange in the new poster for the coming film this Christmas season. 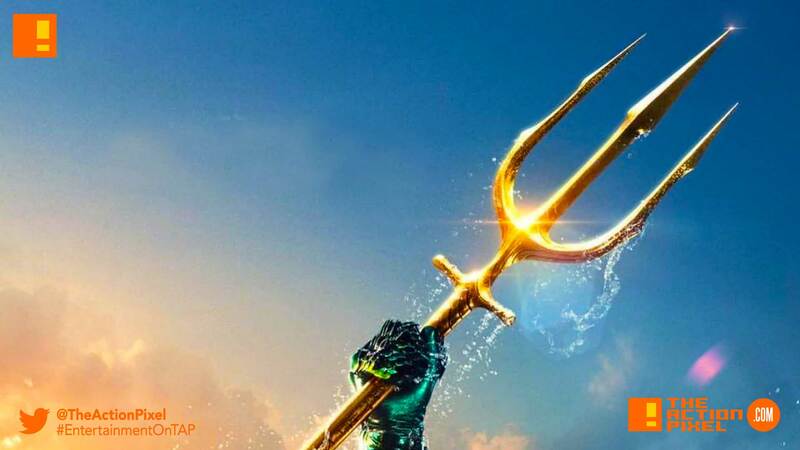 The poster features Aquaman’s arm breaking the surface water of the ocean, holding the mighty gold trident in green, Batman-esque armlet gloves and the iconic orange scale/mail suit. This follows the first poster featuring Jason Momoa‘s Aquaman bringing school into session and the official trailer.